What Is Extended Reality and What Can We Do With It? We are living in an era where technology is evolving thousands of times faster than the evolution of human beings. The latest technology becomes outdated in the considerably minimum amount of time. This is the reason why we, as a part of this era, should be updated time by time. Mobiles, laptops, automatic types of machinery, CNC machines etc. are becoming that part of our day to day life without which we can’t assume our ease of living. But this is not the end of the technological evolution; this is just the beginning of a giant roller coaster ride. This ride is having a gigantic amount of thrill and surprises ahead. In this context, let us be introduced to the emerging children of the technology namely Virtual Reality (VR) as well as Augmented Reality (AR), Mixed Reality (MR) and the Extended Reality (XR). Let us firstly develop the understanding of the roots of these massive branches. Virtual Reality is that type of artificial reality which is having no connection with the real world (just like the disclaimers of the films!). It’s a totally imaginary world created by computer simulations. It makes us dive into a totally different digital world. We all are aware of the VR box, aren’t we? That is the simple example of virtual reality. Tech giants like Google have created some VR apps like Google Cardboard , Google art & culture . VR basically gives us the best gaming experience. Recent talk of the town, the famous PUBG game is one of them. Augmented Reality, on the other hand, is not entirely different from the real world. It is just like the icing on the king to Virtual reality. How? Let’s understand it with an example. Suppose you found something somewhere about which you are not having knowledge. But if you have a smartphone having the camera app, which takes it’s photograph and acknowledges you about that thing with the help of graphics of analytical data, then this is called augmented reality. In other words, AR is a digital layer of the real world with the help of mediums like the camera of the phone or headphones. ‘Just a line’ is an augmented reality app from Google. Snapchat is also an AR app used for making up different layers on faces. Other examples of AR apps are Ingress, ghost snap, holo, Asian paints color selection app etc. Another term namely augmented virtuality is also a part of this family. It is a real-time representation of the current state of real-world elements in media and information technology environments. So, if the interaction happens in the real world, it’s called Augmented reality and if it happens in the virtual world, it’s called Augmented virtuality. Now, what is Mixed Reality then? ‘Mixed’, the name itself is self-explanatory. MR is the combination of both VR and AR. It’s just like hybrid seeds in agriculture, which are more productive. It combines the best elements of VR and AR. Mixed reality mixes the real and virtual world in a systematic manner. It fastens the virtual objects in the real world and allows us to interact with virtual objects. For more zooming in, let’s go in flashback. In childhood, while playing video games, we have played a game called duck-hunt. It was the rawest example of mixed reality. Having this much basic information, we will now understand what does Extended Reality (XR) means. Extended means something which is enhanced or intensified. 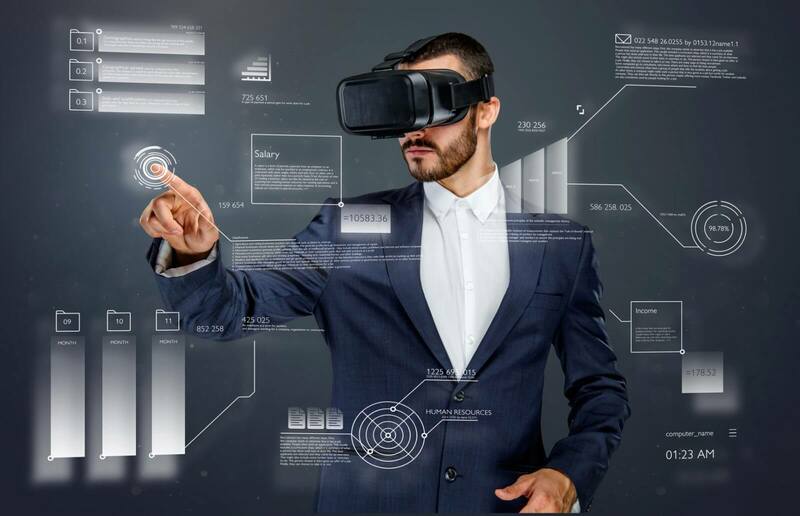 Extended reality is a new sensation of the technology which is having its roof on the pillars of VR, AR, and MR. XR refers to all real and virtual combined environments and human-machine interactions generated by computer technology and wearables. Discombobulated with these technical words? Let’s make it simple. XR is a mixture of AR, VR, and MR in the approx. proportion of say 36%, 38%, and 26% respectively. Extended reality turns data into a memorable experience. Extended reality gathers numerous data of bundles of objects at a time and at a place. It converts them into a holographic image. With the help of these holograms , an imaginary world is created which can actually be interlinked with the real objects/people. Suppose you are at your office having a very busy schedule. But you want to take a look at your other office located at some 3000 km distance during a tea break. And at the time of lunch, you want to wander on the surface of the moon. You will say that stop such foolishness, this can’t be a reality. But the extended reality is that type of medium which will convert this imagination into a reality. XR simply creates the world within a world. It is a new element expanding the realm of this Tech-era. 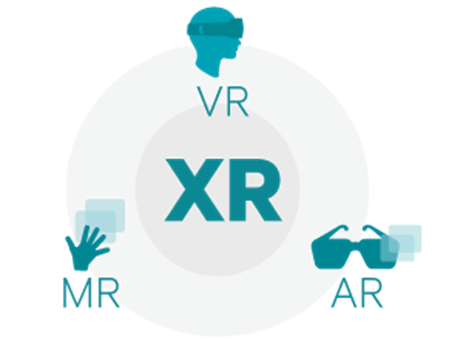 After all these praises of XR, a general question comes in our mind that what’s the difference between AR, VR, and XR? & if XR is the same as VR? So in a summarised way, VR is just an imaginary environment which may be entertaining but has nothing to do with the real world. AR can be addressed as an overlay to the things of the real environment. Whereas MR creates virtual objects which can interact with the real environment. But XR is a bonanza combo of VR, AR, and MR which is the ability to explore the imaginary world as if you’re actually there & convincingly share parts of those imaginary worlds in real life. However, every technological advancement is having its own pros and cons. XR is also having both sides of the coin mentioned below. XR enables human beings to feel and interact with a radically different world without leaving their place. It saves time, money and resources at the same time. It also helps in reducing human impact on the environment by an elimination of transportation. XR helps to have real-time information and a realistic view of the situation. Which ultimately become a helping hand in all three sectors of the economy. Some crucial training such as loco-pilot training, operational management of nuclear reactors, etcetera can be done much more effectively with numerous trial and errors without harming the actual resources. The hardship named ‘Difficulties reaching in remote areas’ will obsolete after an evolution of XR. Visualization improves the learning experience, which will help in generation skilled human capital. XR is ultimately based on the computer network and it is having a threat of hacking or cyber-attack. Technological innovations always degrade the quality of the social life of human beings. Mobiles, laptops and now XR will make humans socially even more disengaged. Using XR devices more than a particular time may affect eyes adversely. It may also cause headache and sometimes leads to migraine. XR contains the use of many tech devices which ultimately increases the implementing cost. Also due to this constraint, an economically weaker mass of the society may not get its benefits. No matter how realistic XR training may be, but it doesn’t include the unpredictability of the real world consequences. XR is pre-programmed, it needs expert’s help for making some changes according to the situation. So, the flexibility of XR for a common man is not possible. Despite having cons mentioned above, XR has great potential for the industry. According to Accenture’s survey , 36% of the CEOs believe it to be a key factor in adopting XR. XR can be implemented in industries serving for all basic needs such as shelter, health, and entertainment. XR is expected to be a $ 110 BN industry by 2025. XR will change the definition of entertainment. Video game industry will be benefited most by applying XR. According to the report of Statista , this industry will have 34% of the future share of XR application. XR will not only give a live experience of gaming but also of other entertainment events such as concerts, exhibitions, cricket, and football matches. For example, the Denver Museum of nature and science already uses this technology for better visitor experience. XR will be blessing for Training and skill development industry. It will enable the workers to be trained in the complete field like environment without actually going into the field. The better visualization will make better understanding, which will ultimately lead to efficient human capital. Such as mining industry, manufacturing industry, etcetera. Just in case, Airlines giant like Boeing uses XR for the training of pilots and they have found that it takes 35% of the lesser time to train a pilot with XR. Hence, XR also reduces the training duration decreasing ‘first-time errors’ to 90%. Real estate and interior designing industries will be stress-free from creating the actual structure or even a sample house. By using XR, the architecture can show the actual building planning to the customer with real experience. So this will be beneficial to both of them. Also, difficulties of town planning will be eliminated with the aid of XR. The health sector is facing some issues regarding 3D imaging of internal micro parts of the human body structure like veins, blood vessels, cells. XR will help this industry to create more accurate graphics of these internal body parts and this will enhance the surgical accuracies. Also, better surgical training experience is possible with XR. XR has tremendous scopes in the military industry. Starting from an artillery gun to the fighter planes, training can be given to the soldiers without even building a prototype of it. This will save the cost of manufacturing and on the other hand, rework due to trial and error will also be eliminated. Retailer industries like Furniture, e-commerce will be able to make their sell more customer friendly with XR. For instance, which furniture will suit best in your room will be shown virtually with real-time experience. 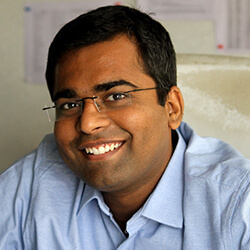 Companies like Lenskart are having an app for the actual suitability of the specs frame. XR business statistics were published by a firm called Statista. It has shown that XR business in 2017 was around $14.1 billion, but from 2018 to 2022 they have claimed the raise up to $209.2 billion, which shows the massive opportunities in XR business. In business with XR, having a robust data security structure is a must. Because without it, more profit with the use of XR is a myth, as cyber-attacks and hacking may adversely affect your business. Another thing is having the right and authentic service provider. Otherwise timely unaddressed system breakdowns may lead to the interrupted business cycle. In the end, concluding the XR, we can say that if properly used, XR may completely alter the experience of business as well as day to day life. XR is a blessing in disguise for the physically challenged people of the world. XR is the blending of phenomenal elements of all VR, AR, and MR, which gives a new vision to the Technocrats of the world. It mixes the virtual world with a real one, promising the zenith for futuristic technology. XR can be an essential supplement to the various industries for improving business capabilities. At the end of the day, constant up gradation of the technology is a need of an hour to strengthen the world economy. Let’s be blessed by such evolutions.